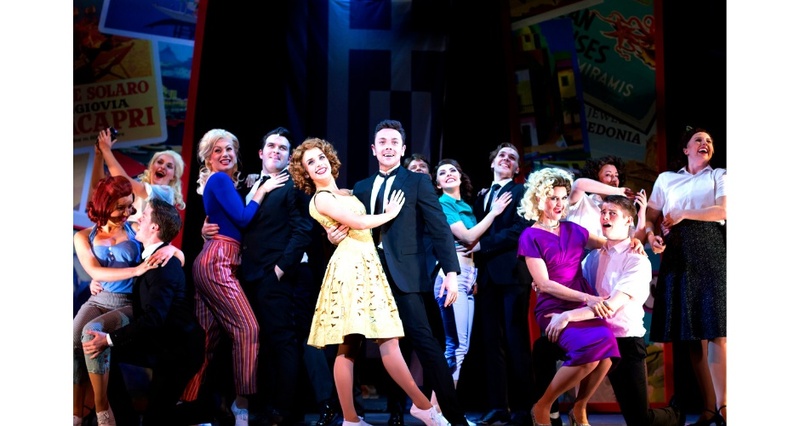 Summer Holiday the Musical based on the 1963 film of the same name starring Cliff Richard and the Shadows drove it's way into town last night! Featuring classic 60s hits such as the titular track, On The Beach, Bachelor Boy, In The Country, Living Doll, Dancing Shoes, Do You Wanna Dance? and many more, the show follows four mechanics as they bid for a Summer Holiday they'll never forget. With very little funds behind them, leader of the pack, Don, manages to get permission for them to use a bus from the London Bus Company, which they happen to work for and the quartet kit the bus out in only seven days for a manic European adventure on the road. Once across the channel they meet an upcoming girl group heading to Athens for a gig and an American stowaway running away from stardom. All adding up to an eventful and often disastrous venture. 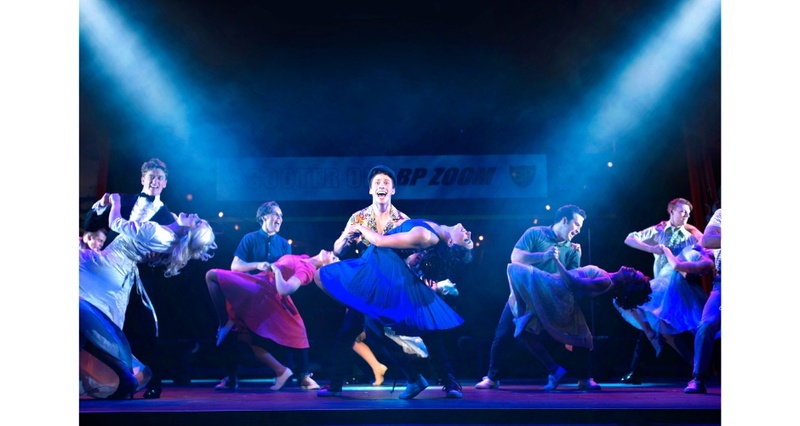 The audience of course loved following Don and the boys on their mad-hat adventure and were wowed by some audacious choreography and electric deliveries of the film's iconic soundtrack, however last night's performance was particularly eventful and not just because of the show on stage. 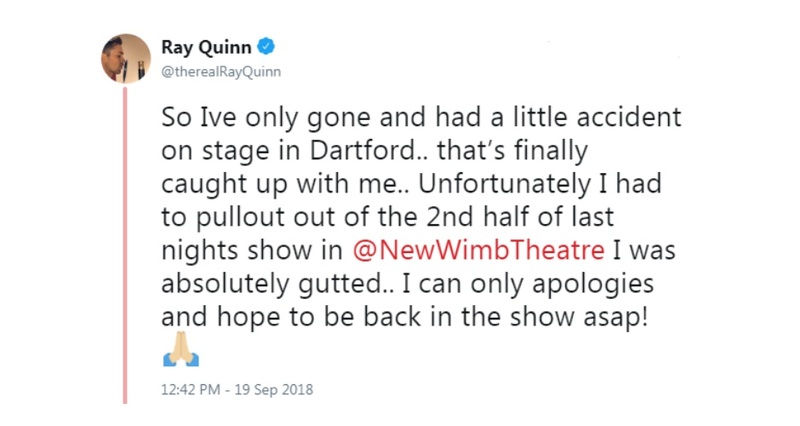 Unfortunately the tour's Don, Ray Quinn, suffered an injury from a prior accident during a Dartford performance of the show and managed to make it through to the end of Act One, but could not continue and was rushed to seek further medical treatment. 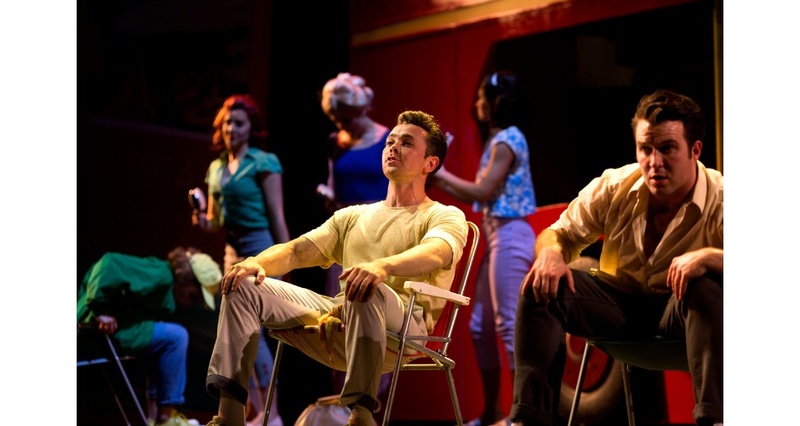 Billy Roberts was not the only cast member having to step up though; William Beckerleg slotted into the role of Steve admirably and Adam Crossley likewise had to take on more, both performing effervescently. 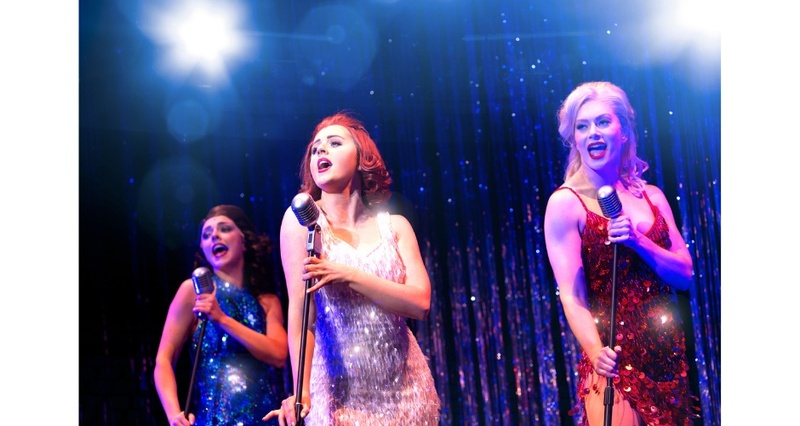 The company, thus worked excellently in unison to make sure they could successfully deliver this beautiful and technical production. 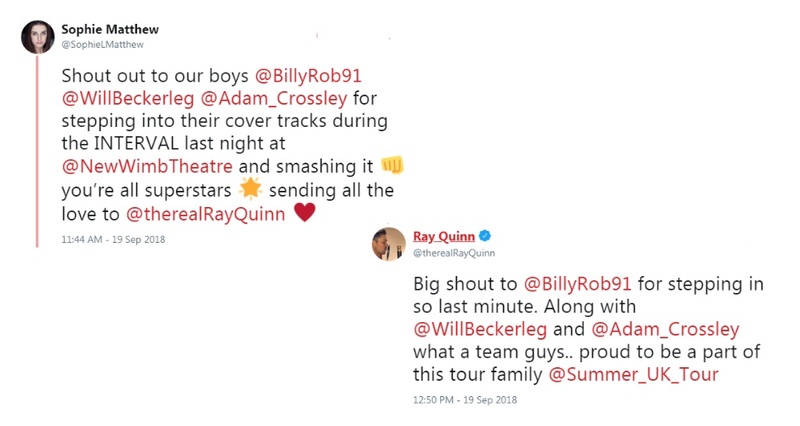 We would like to take this opportunity to wish Ray a speedy recovery and thank the company for pulling together to still deliver an excellent opening night performance. 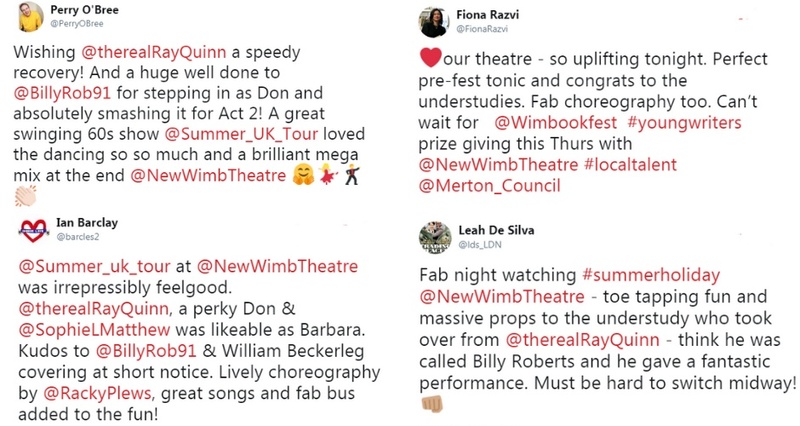 You can catch Summer Holiday all week at New Wimbledon Theatre. .
Summer Holiday runs this week, 18 - 22 September, at the New Wimbledon Theatre.